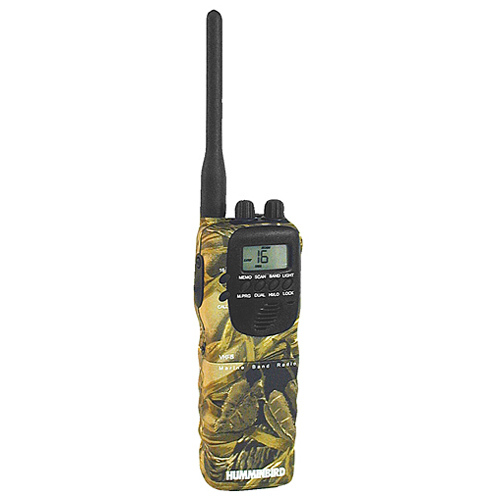 The Humminbird® VHF5C Camo VHF marine band radio offers an LCD display, a scan mode and a screw-on antenna for powerful communication. It features functions such as weather alert, a locking keypad, memory channel selection, a dual watch mode, and much more. To order the Humminbird VHF5C , add to cart below, use our online order form, or use the order form above.